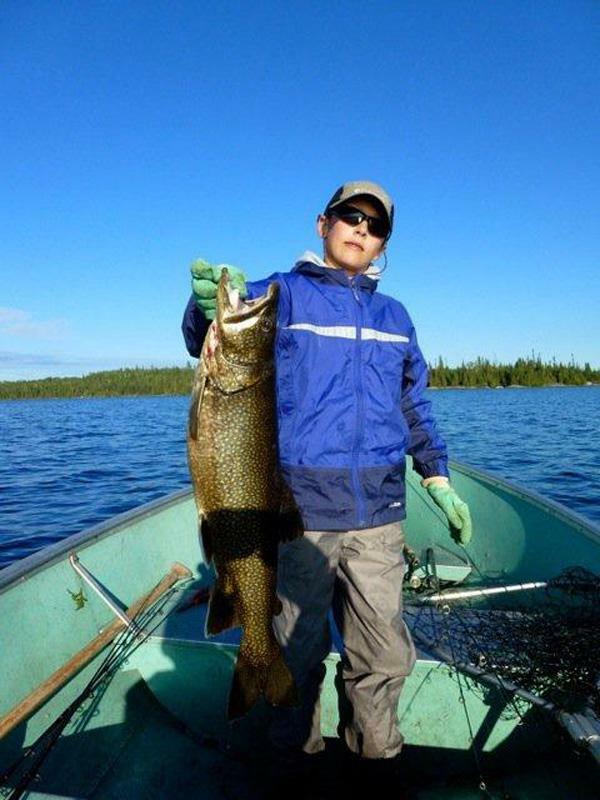 We have excellent Lake Trout fishing on Goldie Lake for guests who stay at our outpost camp. 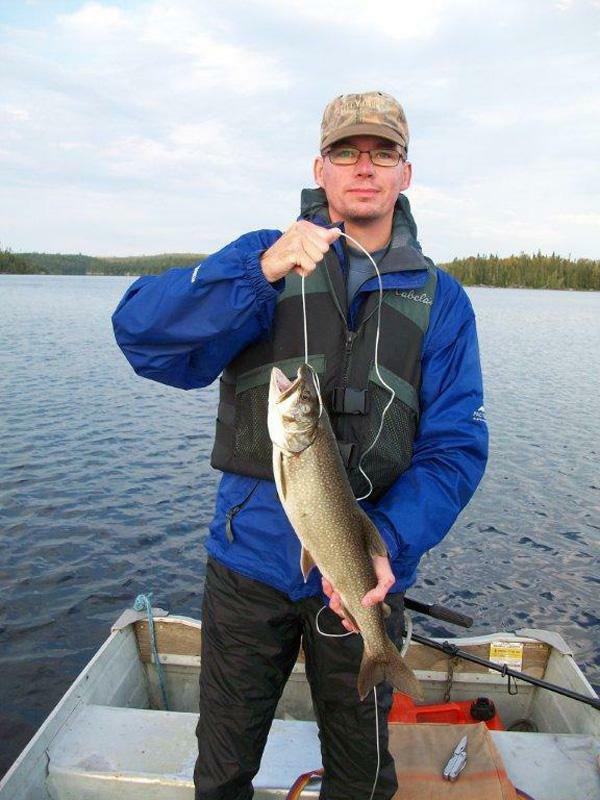 Lake Trout average in the 4 to 12 pound range but smaller 1 and 2 pounders can be caught for dinner. Somewhere in the depths of Goldie Lake are some big trophy Lakers. 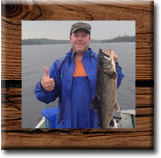 For people who are not big on Lake Trout fishing, the easiest time of the year to catch them is in the spring when they are shallow, feeding along the shoreline and will hit pike lures. Avid Lake Trout fisher-persons will find the Lake Trout concentrated in the deep holes during the summer where Lakers are taken with deep water techniques. 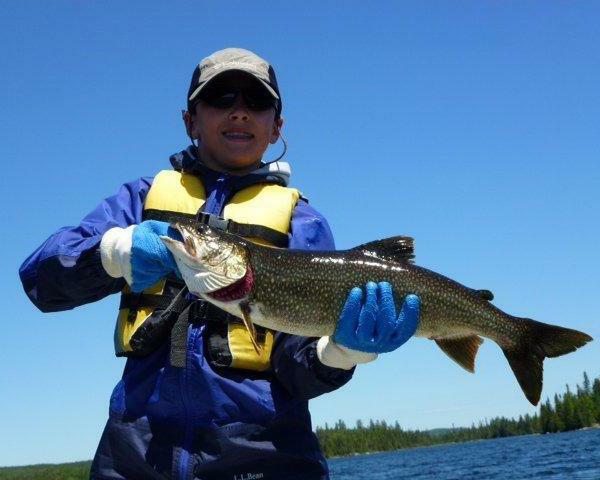 As the water cools down in late summer and early fall, the Lake Trout will again approach the shallow depths. 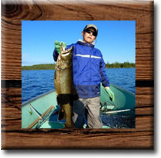 We do not have Lake Trout in Five Mile Lake but guests who stay at the base-lodge, can drive to a couple of other lakes in the area which have Lake Trout fishing. You don't need special equipment to catch Lakers. 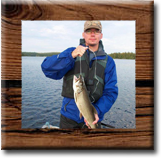 Just read our Lake Trout fishing tips to see how you can catch them with your Walleye rod and reel. 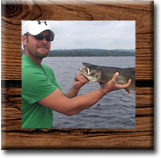 Limit: Zone 10 (Five Mile Lake ) 3 Lake Trout with a sport license. 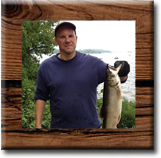 1 Lake Trout with a conservation license. 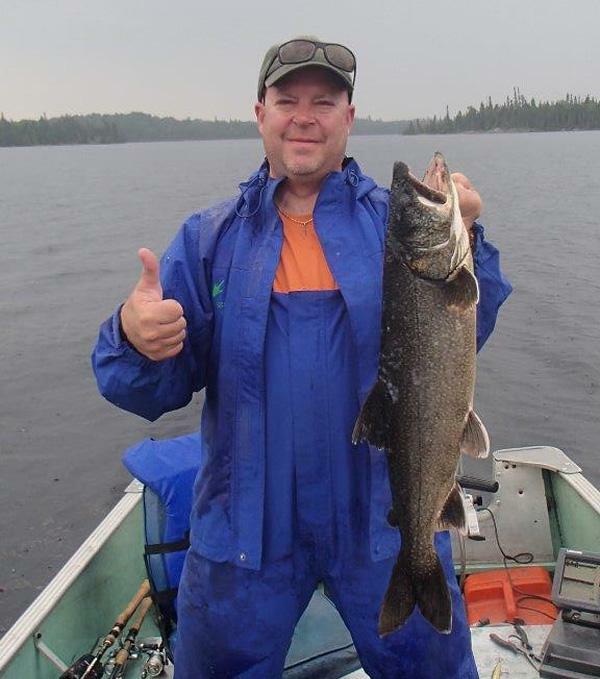 Zone 7 (Goldie Lake) 2 Lake Trout with a sport license. 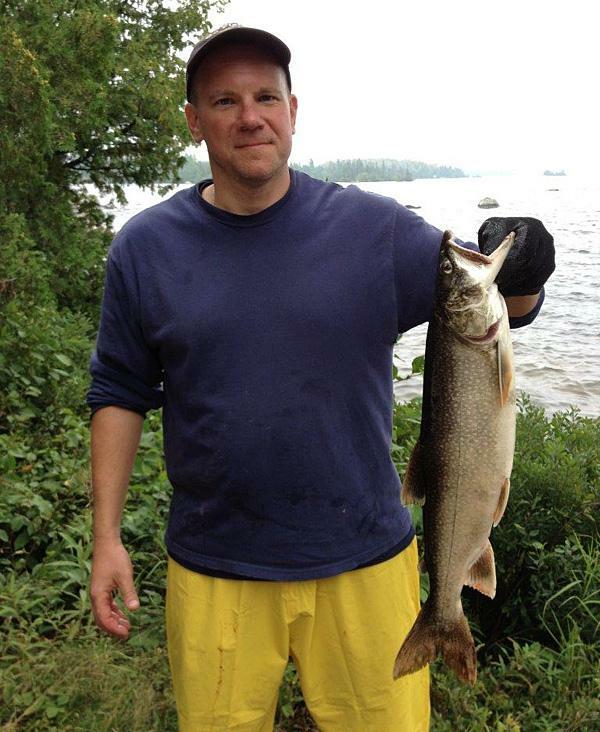 1 Lake Trout with a conservation license.  Restrictions: Trout limit is in combination with other trout species. 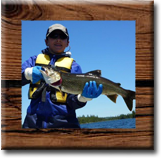 Example: If you have 1 Lake Trout, you are only allowed 4 Brook Trout with a sport license. 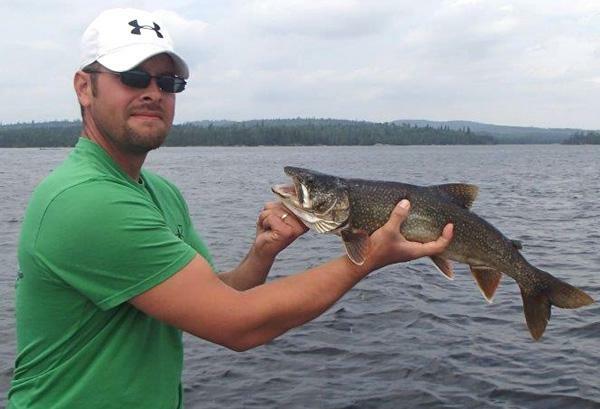 With a conservation license, you would only be allowed 1 Brook Trout if you have 1 Lake Trout.